It was family night for dinner as I celebrated recipes for two lovely ladies in my life. First up is the Queso Grits. Olivia got rave reviews at college for her short story “Queso.” Maybe soon you will get to read it in print. She is quite gifted in the fine arts. She paints gorgeous pictures and takes amazing photographs. She is also an accomplished dancer. But most of all she writes beautiful poetry and engaging short stories.One day we will see Poet Laureate after her name. I’m sure of it! In honor of her story we had Queso Grits. There is no recipe for the grits. 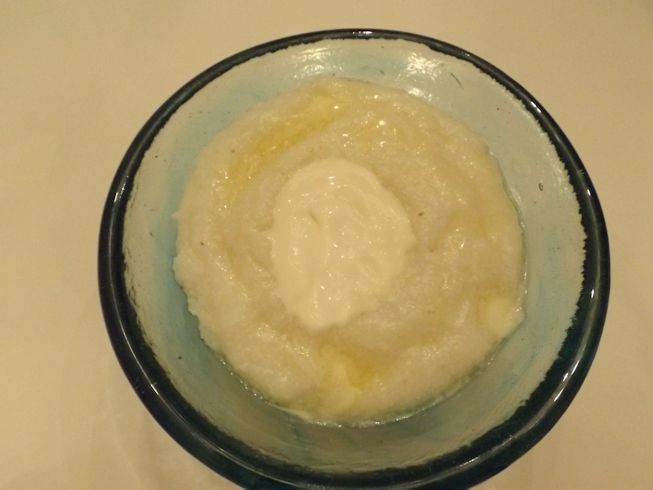 I just made our favorite stone-ground, organic, nonGMO white corn grits (that’s a mouthful) and added a swirl of queso. Super easy and very good. 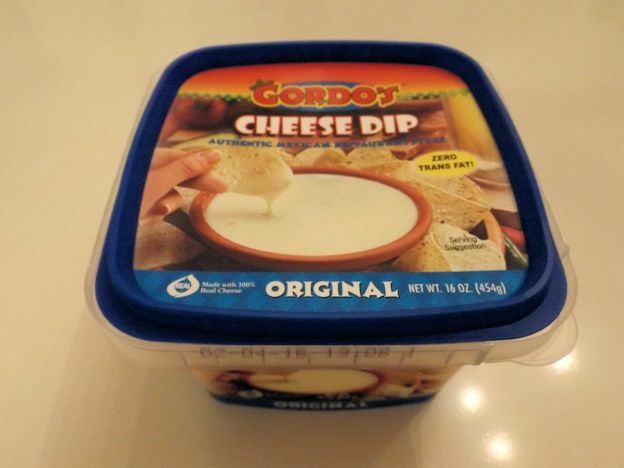 I found this particular brand of cheese at Walmart over in the deli by the hummus. 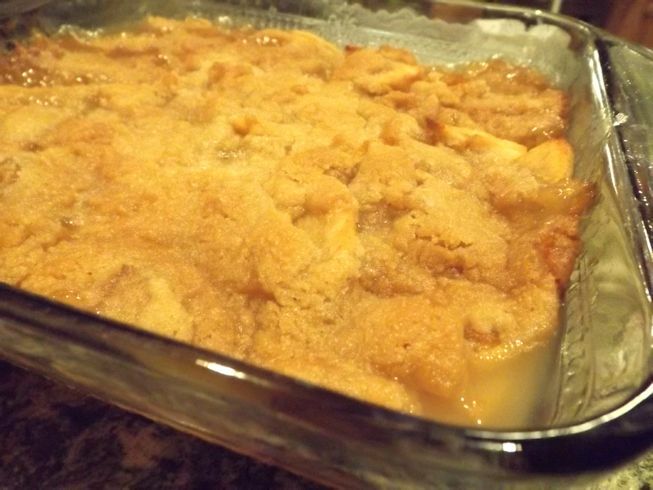 For dessert my faithful, blog-following Aunt Merry Carol sent me this super-rich and decadent recipe for Apple Dessert. I actually have many tasty recipes in my recipe box from my aunt passed around between my mother and grandmother. I’m not sure I made the topping correctly because much like my pumpkin muffins of last January, I think I had the butter too soft. Even with my culinary impairment, it was delicious! This recipe goes back to my very sweet-toothed great grandma Anna. I love the addition of the orange juice. The apples were soft and the filling was rich and creamy. Preheat oven to 375 degrees. Place the apples in an ungreased 9X9-inch baking dish. Pour orange juice over apples. In a separate bowl, mix together the sugars, salt, and flour. Cut in the butter. Crumble the topping over the apples. Bake at 375 degrees for about 45 minutes or until apples are soft and topping is lightly browned and crunchy. I didn’t let my topping get to the crunchy stage but I loved the texture nonetheless. I don’t think you can really mess up this recipe because there is nothing in it like eggs that have to be cooked to a certain temperature. If you like a soft topping take it out earlier. If you want a crunchy topping, let it bake longer. Easy! And one final disclaimer for the day. My pictures are dark because it is 7:00 and dark outside and foggy. We have had nonstop rain for days and now with the time change, it makes it worse. I can’t get a post out before it turns dark because I work in the best daylight hours. I miss the golden glows of the sunlight in the summer and my camera does, too. However as a working girl, if I want to continue adding posts, I will just have to be satisfied with dim pictures without natural light until next spring. And that’s my official rant for the evening. And now, back to a happy place with only positive rants! Good luck to Olivia with her stories and thanks for the recipe to my Aunt Merry Carol! 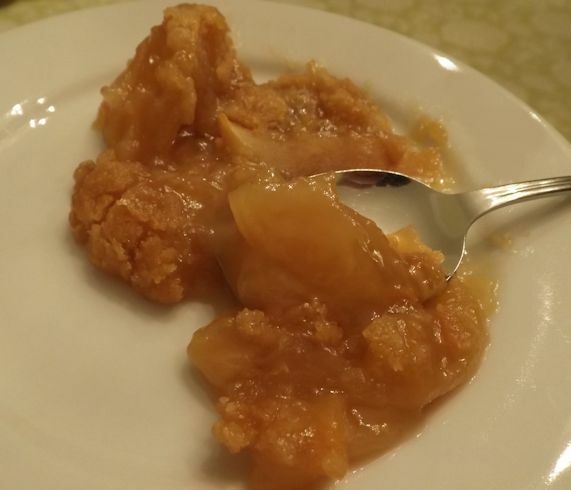 What a surprise seeing my old favorite apple recipe that’s so easy to make–no pie crust to roll out—just an easy, breezy quick dessert.